Anterosuperior rotator cuff tears are less common and behave differently from the posterior superior tear. The specific feature of this lesion is related to anatomy, clinical presentation, prognosis, and treatment. 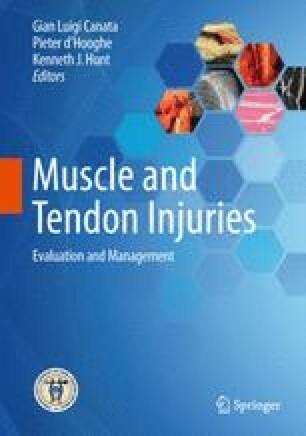 Clinical presentation for injury of the anterosuperior rotator cuff tear is extremely variable, particularly because the injury could be acute and traumatic versus degenerative; furthermore, it is also related to the tear extension. For function shoulder to be preserved in patients with anterosuperior rotator cuff tears, the mainstay of treatment consists of avoiding fatty infiltration into the lower subscapularis tendon. Subscapularis tendon in particular is prone to retraction and early irreversible changes of the muscle. In consequence, once diagnosis is done, this tendon should be repaired as soon as possible. Open and arthroscopic surgical technique has been described to treat these lesions with satisfactory outcomes. However, early recognition and treatment of tear improve prognosis after repair. Younger age of patients, less degree of tissue retraction, and less fatty infiltration lead to a better clinical result.